What Is The Purpose Of The Padlock Cabinet? Manufactured right here in Britain, this padlock cabinet gives you a way to store all your padlocks. 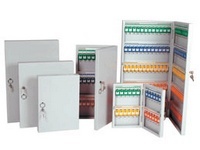 This small but roomy cabinet works to include anywhere from 24-100 padlocks depending on the size cabinet you choose. 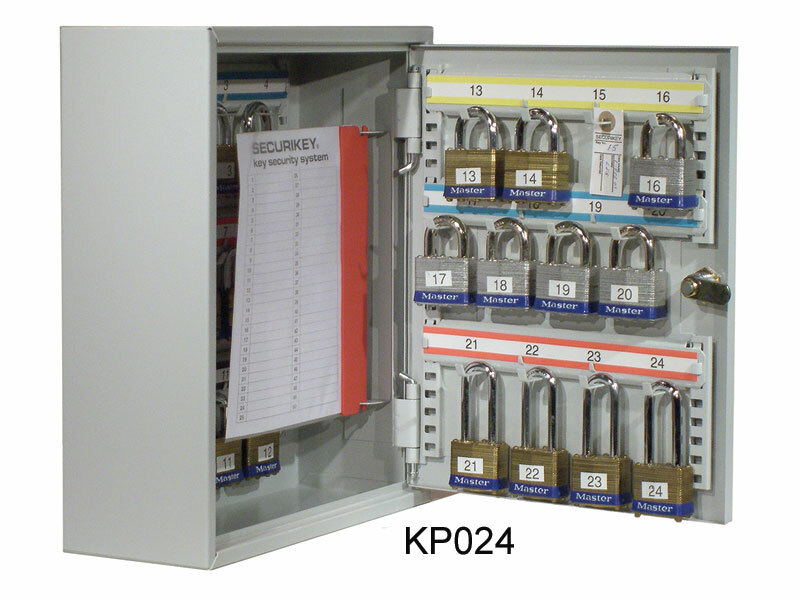 If you need to access different padlocks to isolate your equipment or your machinery, you need the padlock cabinet as a quick way to see and organise the padlock you already have. Don’t shove all your padlocks into a drawer or store on a shelf. Drawers get messy and shelves often go unorganised for weeks at a time. A padlock cabinet gives you a way to order and store your padlocks without ever needing to guess which one you don’t have or remember where you last left it. The handy chart included in the padlock cabinet gives you an “at a glance” view of any padlock out at the time and where it should be located. The whole padlock cabinet mounts easily to a wall through the pre-drilled holes for easy mounting. Where Can The Padlock Cabinet Be Used? 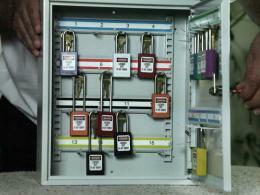 The padlock cabinet works with the company that needs to isolate their equipment or machinery. You can store your hasps and lockout tags. This is perfect for electrical companies and safety taggers. Who Might Use The Padlock Cabinet? If you’re working with hazardous power sources, you need a way to isolate that energy source into a safe mode. This is why you need easy access to padlock to isolate that machinery. 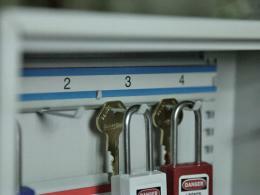 The electricians and heavy duty machinists will frequent this padlock cabinet most often. Durable steel and powder grey finish. Mounts to wall with included bolts and pre-drilled holes. Capacity of 24-100 padlocks of various sizes. Protected by a cylinder lock when not in use. Protected by a 12 month warranty from time of purchase.